White Burgundy still ranks among the wine world’s most famous grape varieties, and the benchmark styles from its namesake terroir remain a gold standard. We’re of course referencing Chardonnay. It’s also done very well in California, where climate and drinking taste converged in the 1980s, providing a significant cornerstone upon which a young wine industry was initially built-up, then broadly diversified. The widespread popularity of particular wine styles is subject to cycles. A rapid rise for Chardonnay as a staple table wine in North America was followed by a degree of consumer fatigue–clearly expressed in an unfortunate acronym: ABC (‘anything but Chardonnay’). 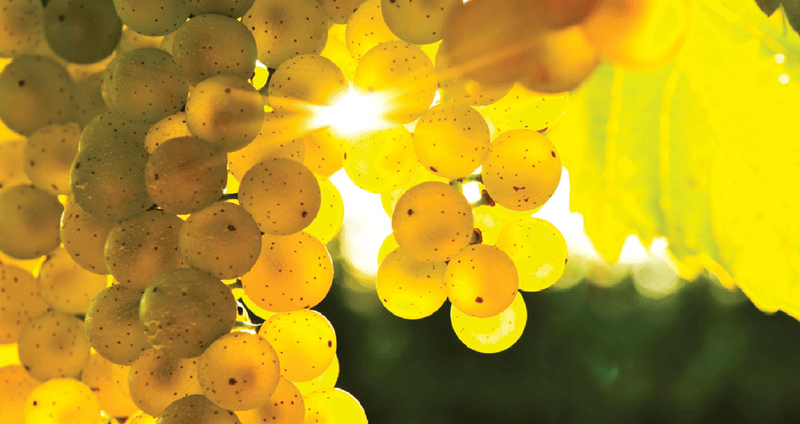 Within the broad range of finishing styles that includes both sparkling and still wines, the world’s most planted white wine grape is enduring and defying the fickleness of fashion. Finished Chardonnay is a definitive winemaker’s wine in that the characteristics commonly associated with it: highly aromatic, a buttery mouthfeel, tropical or stone fruit flavours, notes of vanilla, etc. are all methodically coaxed results from a relatively neutral grape. From time to time, the experimentation has translated into an individual characteristic overshadowing others. As Chardonnay is one rare example of a white wine being suitable for barrel ageing, overly-oaked versions of less-select grape harvests contributed to the decline in reputation and desirability for discerning drinkers. With the development of the grape in cooler climate vineyards, fresh and vibrant expressions of Chardonnay are more common again, and arguably, more faithful to the originating style from Burgundy. This week’s recommended bottling is a balanced reinterpretation, though hailing from vineyards in Chile–highly deserving of a revisit and re-appreciation. 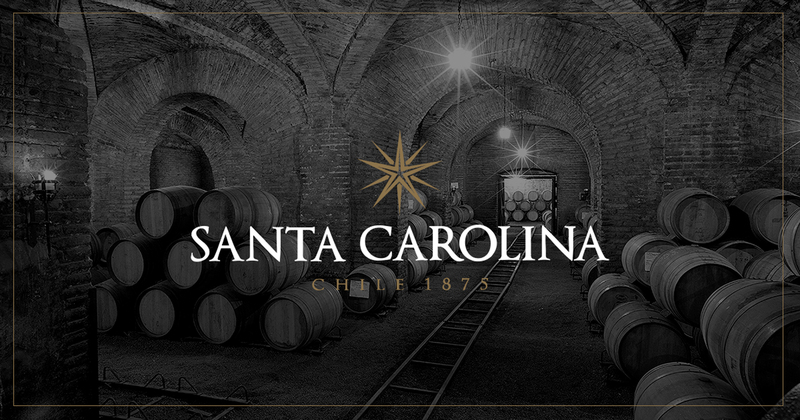 Established in 1875 by Luis Pereira, the +140-year history of Viña Santa Carolina now makes it one of Chile’s oldest commercial bodegas. For their Gran Reserva line, the vintner draws fruit from the valley terroirs best suited to a particular grape variety. 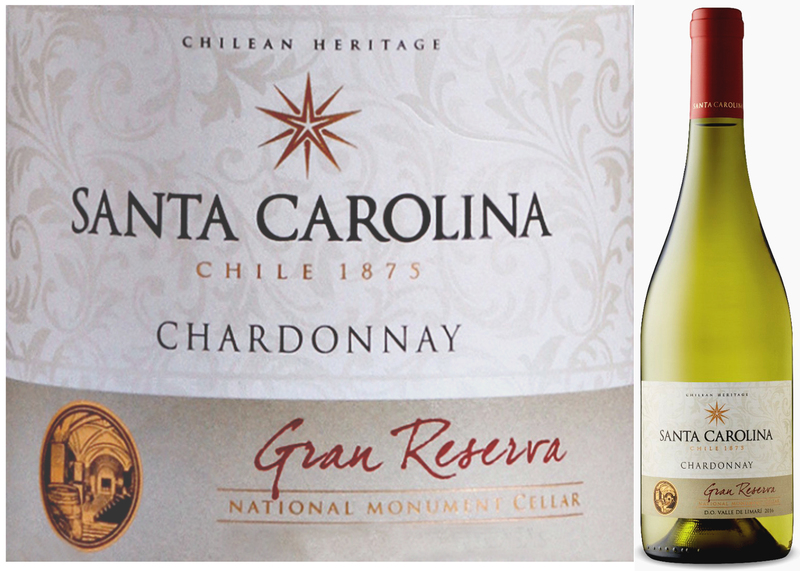 In the case of this Gran Reserva Chardonnay 2016, it’s the relatively younger Chilean wine region of the northern Valle del Limari: 400 km north of Santiago and 20 km inland from the Pacific Ocean. Also framed by the arid Atacama Desert and the Andes Mountains, the mineral-rich soil and dry conditions of Limari combine to promote the development of robust vine stock, yielding highly characterful grapes and wine. Though you’ll find many of Santa Carolina’s offerings on the regular LCBO shelves, this feature is a time-limited release in the Vintages section. Christmas hosting is just around the corner, so buy at least three while you can. This bright straw-yellow, barrel-aged wine with significant alcohol content, playfully combines aromas of lemon balm and apple along with subtle toast and vanilla accents. If serving as an apéritif, try with smoked salmon and Gruyère cheese. As a main course complement, herb-roasted chicken and Parmesan polenta, grilled trout, crab cakes or pasta in light cream sauces are all excellent choices. Tightly framed between a 4,270km stretch of low coastal mountains along the Pacific and a parallel spine of Andean peaks inland, most of Chile barely averages 175km in width. Unsurprisingly, for a long sliver of a country that crosses 38 degrees of latitude, this translates into a dynamic mix of climate and geography. The bookends range from desiccation in the northern Atacama Desert to mild Mediterranean conditions in the fertile Central Valley, to an alpine landscape of lake country, foggy fjords, and windswept glaciers in the southern third. 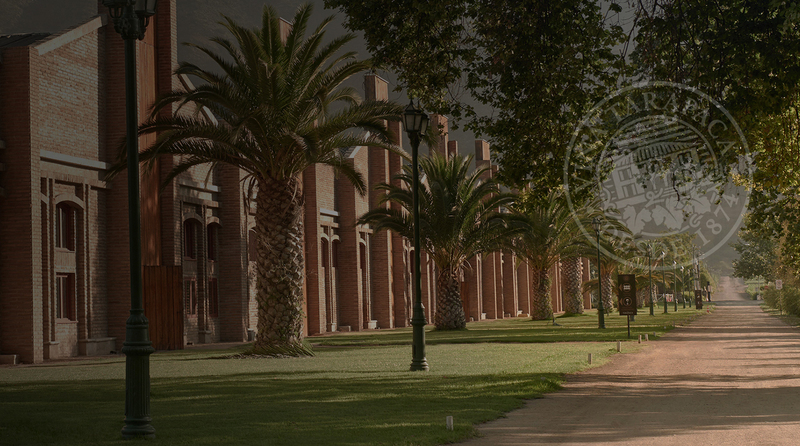 Anchored around the capital of Santiago, the temperate midsection includes Valle del Maipo: the historical heartland of a wine industry whose heritage dates to the 16th century. In the five centuries since the so-called ‘Spanish Conquest,’ Chile’s potential has attracted at least three other significant waves of immigration. Among the personal effects for those of East and West-European descent in the early 20th-century, they also brought along new varieties of Vitis Vinifera (‘the vine that bears wine’). As for Syrah, Merlot, Carménère, and Cabernet Sauvignon grapes, these cultivars have long evolved into versions that are now unmistakably Chilean. 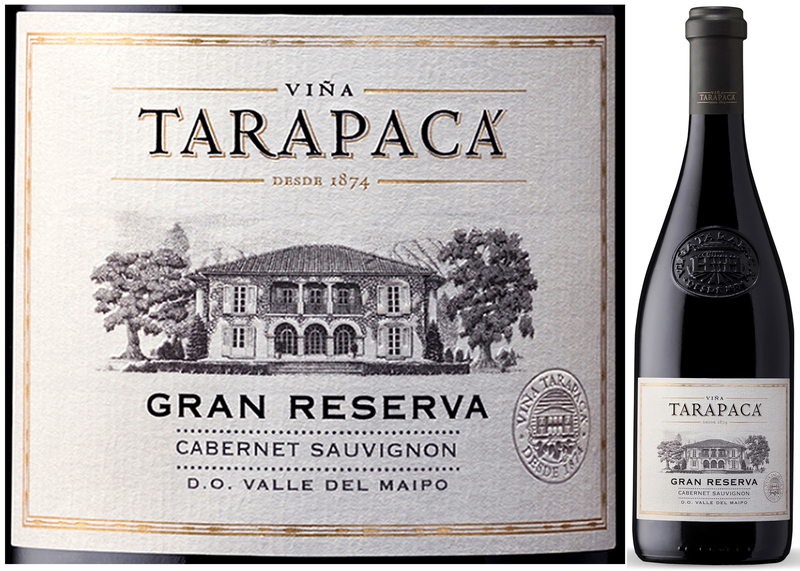 With Viña Tarapacá Gran Reserva Cabernet Sauvignon 2016 serving as one compelling example of what’s being produced at the Fundo El Rosario Estate in the Maipo Valley, Tarapacá’s lead winemaker, Sebastián Ruiz, is capably and consistently outputting globally price-competitive, premium offerings. In this terroir, with a long season of hot daytime followed by cooling at night, the Cab Sauvignon vines develop fully ripe fruit while maintaining a balance of vibrant acidity–an appealing combination that’s become a signature of contemporary Chilean wine-making. Apart from Spain, Portugal, and Italy, where the wine ageing criteria of Reserva and Gran Reserva are definitively regulated and standardized, there remain many other regions where these terms are loosely interpreted. In other words, they may merely be marketing tools that reveal little about the finishing process of the wine in advance of its release. In Chile, these terms are categorized as ‘quality mentions,’ so it is left entirely to the vintner’s discretion to justify the description. Nonetheless, for reputable wineries such as Viña Tarapacá, they adhere to the principle that a bottle bearing these designations is of a higher quality than their standard offerings–and so this one is. By: Vina San Pedro Tarapaca S.A. This 2016 wine has sufficient depth of garnet-red colouring to match the ‘Gran Reserva’ designation, e.g. a minimum of 12 months spent in oak (85% second-use barrels) and another year in bottle. What exceeds expectation is that the vintner has maintained a freshness to the earthy berry and dark cherry flavours while coaxing some subtle toffee and vanilla notes from the ageing in wood. This bottling will pair with the traditional food fare associated with Bordeaux reds. Try serving with grilled duck breast and beetroot, beef tenderloin and mushrooms or a spicy sausage risotto. Hilltop monasteries and other tumbled stone fortifications built-up over the centuries lie littered about and imbued into these richly historic lands of North Central Spain. Sharing a border with the former Franco-Spanish, medieval kingdom of Navarre, the regional identity of Rioja is equally distinct on its side of the modern boundary. Apart from holding a unique place in the diverse, Spanish cultural patchwork, Rioja’s bodegas and vintners are visible leaders of internationally competitive and progressive winemaking in Iberia. The larger designated wine denomination of Rioja comprises three sub-regions: Rioja Baja, Rioja Alta, and the source of this week’s DéClassé focus: Rioja Alavesa–which in turn, is considered a part of so-called Basque country. 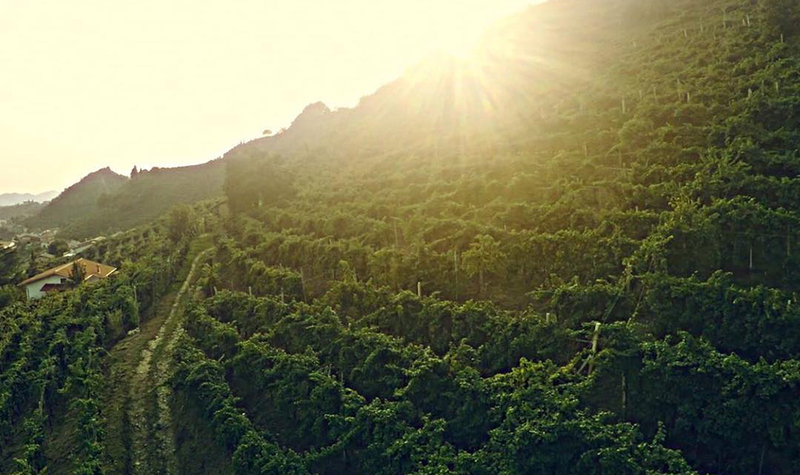 In this zone, the Sierra Cantabria ridge of mountains provide sheltering geography for 350 hectares of vines either owned or managed by Bodegas Luis Cañas. The vineyards are distributed over +800 small, individual plots, so drawing fruit evermore discerningly has been both a challenge and the critical strategy pursued by this vintner toward producing an expanding range of premium wine. Once focused only on less-remarkable, bulk winemaking, the steady process of upscaling quality by employing advanced production techniques has also been influenced by the agricultural reality of prolonged drought. In the current climatic period, this stress on the vines is condensing yields, but it’s also bolstering the layered character of the smaller grape clusters. Nonetheless, this impressive Bodega remains capable of producing 167,000 cases of fruit, yearly, in near desert conditions! 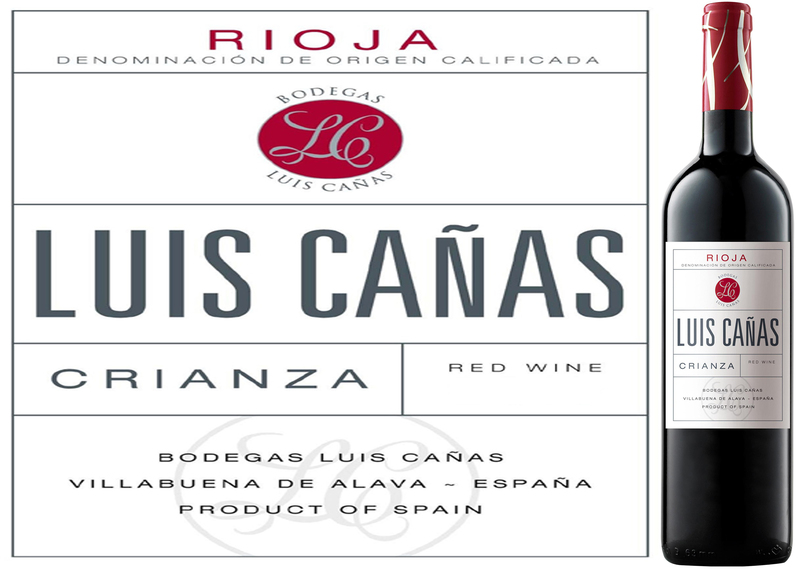 Luis Cañas Crianza 2015 blends 95% Tempranillo grapes with a splash of Garnacha (Grenache) to top up its fruitiness. Making up 75% of all rootstock planted in this storied region’s vineyards, Tempranillo’s name is derived from the Spanish, Temprano, meaning ‘early’–which it reliably does. The designation, Crianza, attests that it’s spent a full year in oak casks and another in the bottle before release. Mellowing in 3-year-old French and American oak barrels, coupled with the grape’s naturally soft tannins, translates into a pleasing mouthfeel. Albeit still youthful, this lively medium-bodied red is ready-to-go and may become somewhat more velvety as it settles. Though not destined for long-term storage, you can undoubtedly dare to hold this well-crafted example from the 2015 vintage for at least several more years. By: Araex Rioja Alavesa S.L. With a complex mix of dark, red fruit aromas and flavours that features cherry, raspberries and fig, try serving this to keep up with most anything prepared on a charcoal grill, including beef tenderloin brochettes and Chorizo sausages or as an apéritif with Spanish Mahón and Manchego cheese and spicy tapas. At 1,000 meters, the rock faces of Saronsberg (aka. Saron Peak Mountain) begin a green cascade of rumpled ridges and gullies down into the valley at its base. Since time immemorial, the mountain’s form has been carved by the buffeting rains and twisting currents of the South-easterlies: the fierce polar winds that blow across the Cape in Spring through early Summer. In 1488, the intrepid Portuguese explorer, Bartolomeu Dias, fought his way through the churning seas that frame Africa’s southern tip. He depicted this harrowing sail by christening it Cabo das Tormentas (‘Cape of Storms’). The winds have continued their bluster over the centuries, but with the benefits of accumulated maritime experience and sturdier ships, sailors have embraced the more optimistic: Cabo da Boa Esperanza (‘Cape of Good Hope’). The retitling is also credited to Bartolemeu, to whose astonishment on a returning voyage, realized that he’d discovered the elusive sea route to India. What was less apparent then, was that he was blindly sailing past the rich potential of one of the world’s best wine regions–now home to some of its most accomplished wine makers! In the 15th century, indigenous herders known as the Khoi occupied the coastal ranges of the Western Cape. They were decidedly unwelcoming to the first wave of European intruders, predictably cutting them down as soon as they stepped ashore. It would take another two centuries of cajoling before the French Protestant Huguenot and Dutch immigrants were allowed to share in the land’s potential for settlement. 300-years on from the earliest cultivation of wine grapes, development of South Africa’s Vinelands continues, with new zones being added or expanded in each succeeding generation. This week’s DéClassé featured Twee Jonge Gezellen (‘two young companions’) is an estate established in 1710–and a dynamic example of the agricultural vision that’s been inherited. Despite cyclical ups and downs, the infusion of new investment is bearing more fruit than ever. 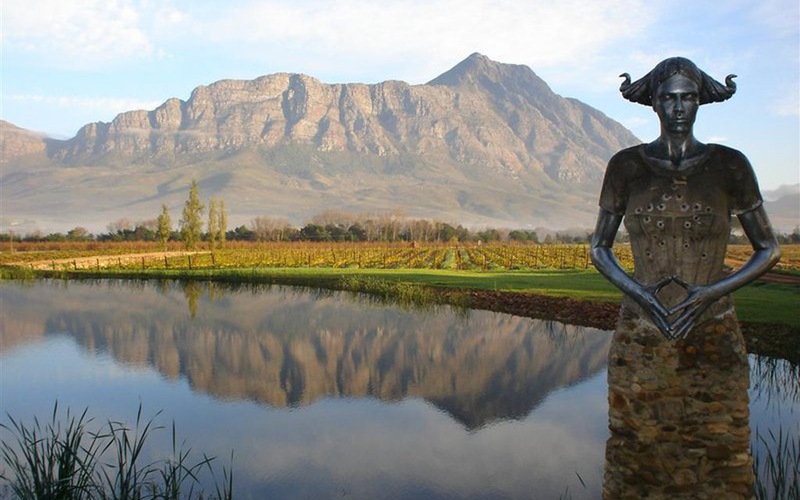 Their property lies in the Tulbagh Valley 125 km northeast of Cape Town and is the next outlying wine region beyond better known Stellenbosch, Frankshoek and Paarl. With sloped vineyards in the sheltering shadow of Saronsberg mountain, the so-called ‘rainmaker’ also provides an ample supply of irrigation. Elsewhere, without appropriate drainage and a counterbalance of heat, the abundant rainfall levels might be problematic. Here, there’s a balance of conditions in the 30-hectare terroir, which the Krone family anticipated in the 1950’s when they began planting noble varieties such as Pinot Noir and Chardonnay. Méthode Cap Classique (MCC) is the South African term for a bottle-fermented production method that yields sparkling wines. As the young wine is also left to rest on its lees (expired yeast), imparting the tell-tale toasted notes, this style emulates the classic French méthode Champenois. What’s more regionally innovative is cool night-harvesting, and a follow-on of cold temperature fermentation; both critical adaptations to the hot growing climate that can otherwise dull the brightness and acidity in white wine grapes. 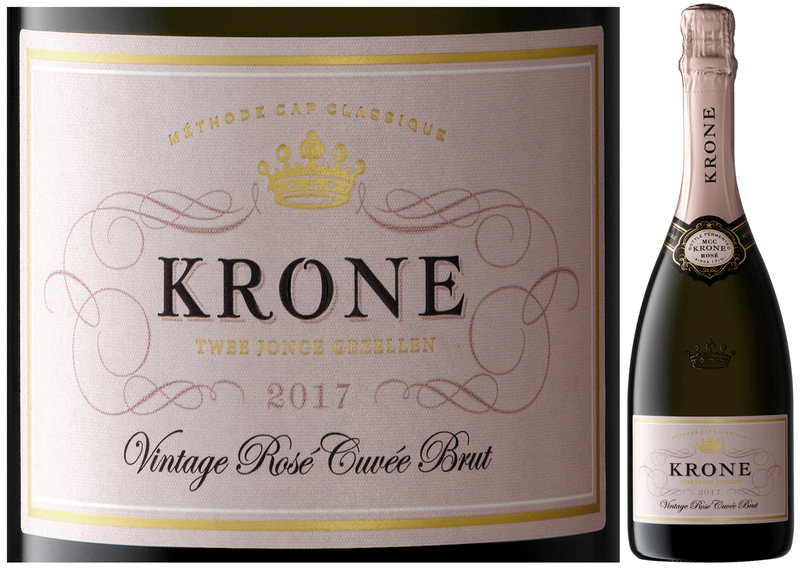 In this well-crafted sparkler, Krone Cuvée Brut Rosé 2017, it’s the 85% Pinot Noir that’s left in contact with the skins during first fermentation that imbues a light pink hue into the final blend, along with a 15% splash of Chardonnay. Remarkably, this modest $18.95 bottling carries its vintage year, which is relatively unusual across all price-points for premium sparkling wine. More typically, the vintner will hold batches of previously finished wine–to be judiciously added into the current vintage; maintaining year-to-year consistency. Here, as in so many facets of modern SA winemaking wisdom, the vintner elects to let each harvest reveal its unique character, with less intervention. Evidently, 2017 was a splendid year. Buy two; serve well-chilled to add a delightful splash of pink mousse to your Thanksgiving meal! This refreshing sparkler with a refined mousse offers flavours and aromas of pomegranate, red berries and citrus accents. As expected from the fermentation method, it also finishes with some subtle baking notes. Try serving as apéritif with herbed cheese crostini, a roast Goose stuffed with apple or baked smoked ham. First introduced to South America by French Agronomist Miguel Pouget in the 1850’s, Argentina’s signature Malbec grape has gone through numerous cycles of being in and out of commercial favour. For most of the 20th-century, Argentinean winemakers were focused on outputting vast volumes of bulk wine for local consumption, and Malbec was often just used to bolster the colour and body of these low-grade blends. Following from generations of experience, the adapted cultivars of the Malbec grape gradually revealed their potential for yielding premium grades of varietal wine that was suitable for a highly competitive international marketplace. From it transplanted roots in the French Cahors region to thriving in now famed Mendoza, the hearty, thick-skinned variety has endured–becoming a go-to favourite for lovers of big-bodied, highly characterful red wine. Centred in the city of Maipú at the foot of the iconic Andean mountains, Bodega Trapiche is no Argentinean upstart as it received its first international award in Paris in 1889. 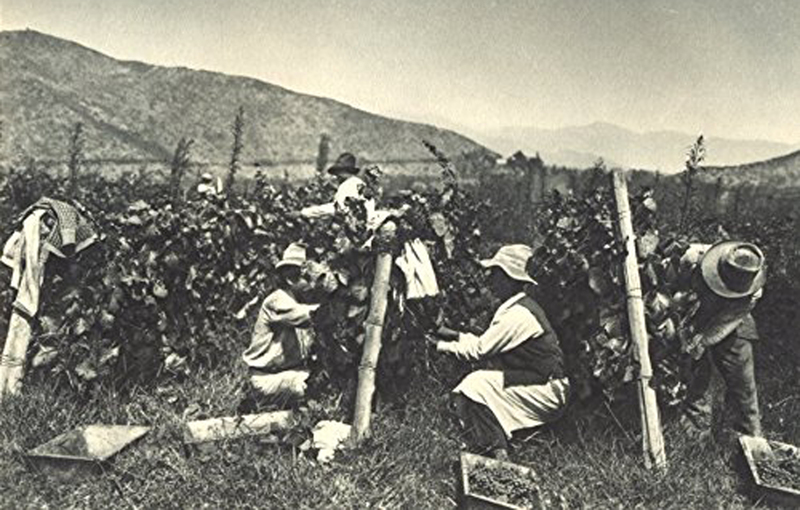 From its modest beginnings in 1883 as a small plot called El Trapiche, the winery has consistently been an innovative force in developing Argentina’s wine industry. It even built a railway link to the capital, Buenos Aires, to better ensure the timely delivery of wine to market. Building on these successes, Trapiche now oversees 1,255 hectares of vineyards and works collaboratively with 300 other local growers. It’s also managed to become a leading South American influence on applying biodynamic farming practices that aim to preserve the natural balance of both the fruit crops and their surrounding ecosystems. In gradually eliminating the use of chemicals, herbicides and fungicides, the strategy is desirable for both ecological sustainability and the payoff of producing wines that are more representative of the regional terroir. And, so it does! 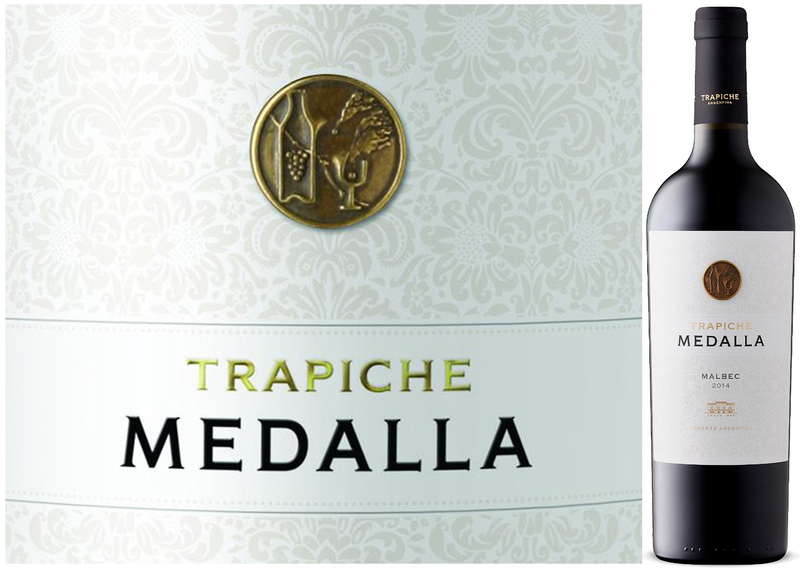 For this week’s DéClassé recommended bottling of Trapiche Medalla Malbec 2014, the grapes are selectively sourced from vineyards in the higher elevations of the Uco Valley–a sub-region that’s particularly conducive to cultivating fulsome yet still fresh versions of this wine style. If you are already a Malbec fan, then you’re unlikely to find a more over-achieving bottle at this modest price-point. If it’s time to top up your longer-term cellar stock on a budget, then this addition will become even more rounded over the coming 2–5yrs. If you’re incapable of waiting, then fully decant an hour or so in advance of enjoying. I doubt you’ll be refilling much of it back into the bottle. Along with its deep ruby colour, this wine has heady aromas and flavours of plum and blackberry fruits. Also, expect many of the classic Malbec spice and vanilla notes and a hint of smoky toast in among reasonably smooth tannins. Try serving with grilled meats, hearty stews, maple-roasted squash, spicy empanadas or mushroom risotto. 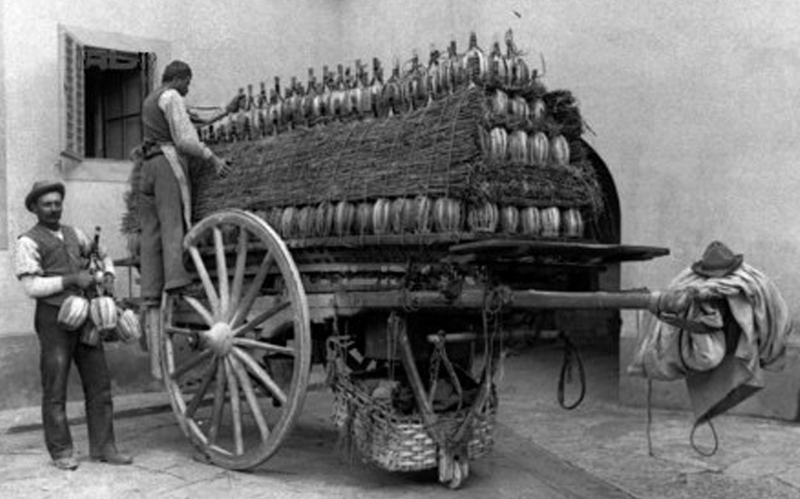 Historical references to lightly sparkling wines in the Veneto region date to the 1100’s, though these were much sweeter in the 12th century compared to the popular versions being fashioned today. 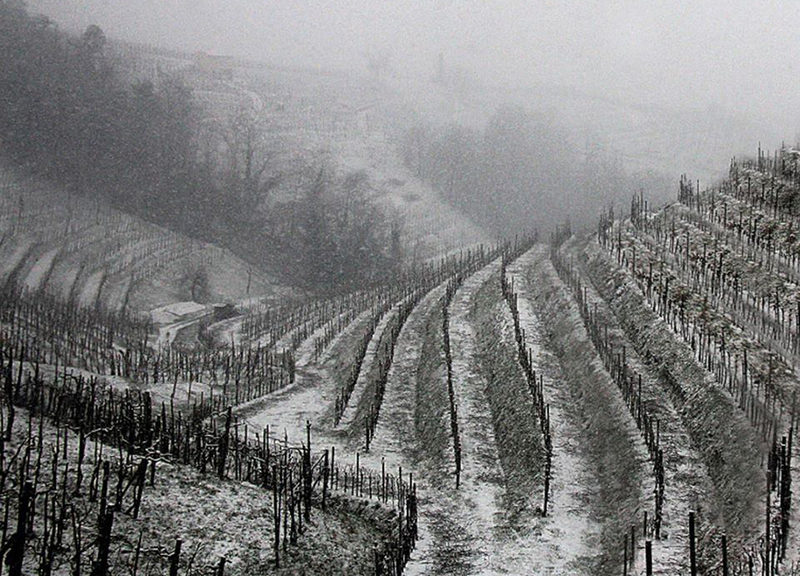 With the burgeoning international profile and interest in this delightful wine style, progressive Italian producers have had to take pro-active steps toward guarding the unique, regional nature of their Spumante. The traditional grape family used for the bubbliest of all Italian white wines was known as Prosecco for a very long time; likely, originating from around the namesake town that lies close by to the Slovenian border. The official reclassifying of the name to Glera in 2009 now means that these grapevines can be cultivated and marketed in other wine-producing regions in the world, but only those wines which specifically originate from Prosecco DOCG and its various sub-regions may be labelled as bona fide Prosecco. Though sparkling wines from Italy’s north-eastern corner are distinctive, the vintners have employed and innovated the French production method called Charmat to achieve their form. After initial fermentation, the second infusion of yeast continues the converting of sugars and provokes the carbonation that provides the wine with its bubbly character. This essential finishing step is done in large, pressurized stainless steel tanks rather than in the bottle, and so, results in fresh and crisp fruit flavours with less of the toasted character that’s typical in its distant, French Crémant cousins. 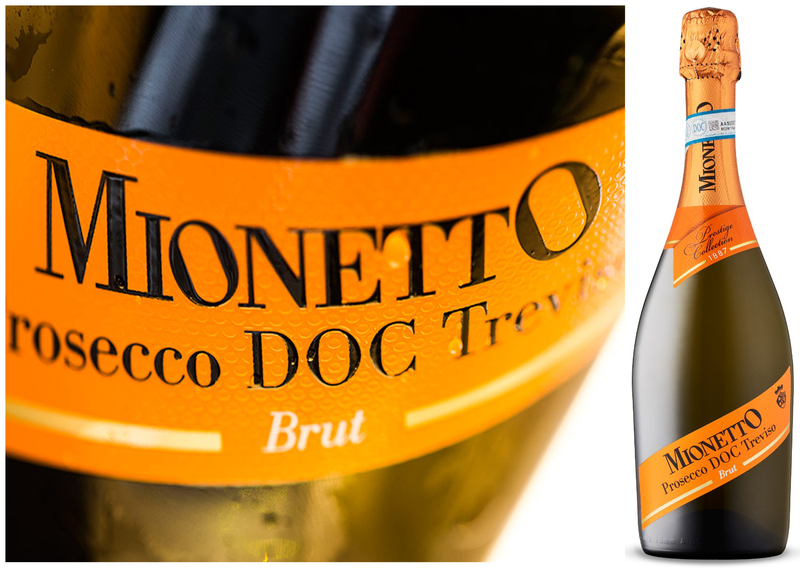 This week’s feature of Mionetto Prestige Prosecco Treviso Brut comes from the hillside vineyards of the Treviso sub-region. Founded initially by Francesco Mionetto in 1887, the modern-day Tenuta (winery) is now part of the German Henkell consortium that has a credible reputation for fashioning and marketing well-made bulk wines in the sparkling category–at approachable price-points. Just north of the namesake town of Treviso, grapes are harvested mostly in the second half of September, so now is an opportune time to sample last year’s results. Serve well-chilled, and keep the remaining bottle cooled while enjoying it in a wide-mouthed goblet rather than in slender stemware. Your brunch guests will appreciate you having a second bottle standing by–brimming with steely fruit–to top them up. At $17.00 each, that won’t break your budget or disappoint! This informal, straw-yellow sparkler has an abundance of fresh apple, white peach, and apricot aromas and flavours, with some nut and honey notes wrapped up in a frothy body. Try serving with Brunch food fare or as a spritzy apéritif with smoked salmon canapes, savoury pastry appetizers or skewers of grilled fish. Sangiovese Grosso, Sangiovese Piccolo, Sangioveto…is to name just a few of the aliases for this grape and its closely related cultivars; providing the core body for most Tuscan red wine recipes, and still reigning as the most consumed Italian wine at home and abroad. Dark blue-skinned Sangiovese takes its name from the Latin term, Sanguis Jovis (‘blood of Jove’), which is an exalted reference to both the elixir’s colour and its place in Europe’s pantheon of great grape species: Vitis Vinifera. It’s also the most widely cultivated variety in central Italy, with prolific vineyards in Lazio, Umbria, Marche and Tuscany combining for 95% of the world’s plantings–a largely unrivalled dominance by a major grape sourced from a single country. Over several hundred years, growers have steadily built up their expertise with ‘San-joh-vay-say.’ In particular, the stewarding of these slow-ripening fruit clusters through to a balanced maturity is an agricultural art that Tuscans have diligently become very, very good at! In the vinicultural history of many old world regions, the development of a distinctive wine style that becomes immensely popular, aided by large yields of grapes that are well-suited to the terroir, adds up to a mixed record of glory times and a fair share of winemaking folly. The sometimes too-voluminous output of Tuscany’s Chianti is no exception. Happily, the mid-20th-century decades during which large commercial producers let loose far too much unremarkable bulk wine dressed up in attractively rotund flasks swaddled with woven straw called fiascos, are long gone. In the 21st century, a re-invigoration of a different sort has taken hold in the baseline winemaking practices of these lands and culture that were the birthplace of the Italian Renaissance. 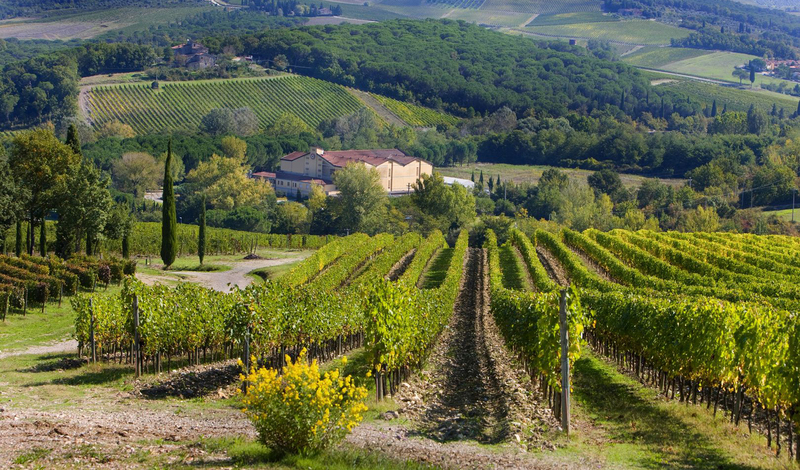 This time, Tuscan vintners are focused on advancing the competitive quality across all grades of their wine; from everyday offerings such as charmingly simple Chianti through to premium production of Vino Nobile di Montepulciano and Brunello. At the core of this shift is the general reduction of harvest yields by the growers–who themselves were instrumental in redefining the guidelines of Italy’s highest classification of quality: DOCG (Denominazione di Origine Controllata e Garantita). Too sad about the demise of the traditional straw wrapping, though, it was so rustically emblematic of Italian table wine for such a long time! 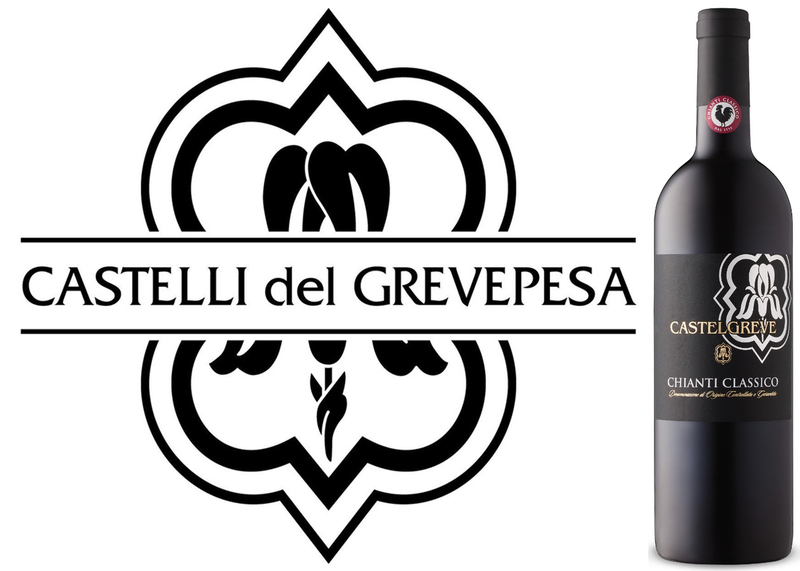 The 120 associated growers allied with the Castelli del Grevepeas brand are focused on value-driven wines fashioned from the region’s indigenous grapes. This DéClassé feature of Castelgreve Chianti Classico 2016 is a delightful example of medium-bodied Chianti with an integrated character of vibrant fruit in among the savoury earth notes. Exercising restraint in the finishing process of wine demonstrates modern winemaking wisdom. In the case of this bottling, the straightforward recipe of 95% Sangiovese and 5% Merlot that’s fermented in Inox tanks before spending the 12 months in Slavonian oak casks, results in an unfettered and refreshing offering true to its pedigree. Add a $17.00 price-point, and you have a winner that will sell swiftly. I would buy as many as are required to fill the empty slots in your loose-straw-lined storage boxes! This medium-bodied Chianti demonstrates the expected combination of plum and cherry flavours and aromas blending with a restrained earthiness and the spice notes gained from its ageing in oak. Try serving as an apéritif with salty charcuterie and cheeses such as Pecorino or with heartier fare such as roast lamb with rosemary, rib eye steak with asparagus and mushroom risotto or Tuscan-style sausages and baked Fava beans.